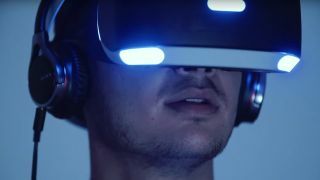 Sony has revealed how much space will be required to use PS VR, while a premature blog post has announced that Driveclub VR will be a launch title in Japan. The parameters for using PlayStation VR can be seen on the PlayStation Asia site, recommending that the PlayStation Camera is given a play area of 3m (9.8 feet) by 1.9m (6.2 feet) - so about 60 square feet of space in total. "Limit your use of PS VR to within the Play Area," it reads. "Clear an area larger than the Play Area of all obstacles before using PS VR and remain seated whenever possible. "If the application requires you to stand while wearing the VR headset, follow the application instructions carefully, and maintain awareness of your surroundings." Sony also states that the height of the play area "depends on the range captured by the camera". It's a bit surprising to see Sony setting these space requirements on PS VR, despite all of our demos so far requiring little movement (and most involving us being sat in a chair). In fact, the HTC Vive requires a minimum space of 5ft by 6.5ft, but it's recommended you use a bigger area. But safety is going to be a key concern with VR, so Sony could just be being overly cautious here. Don't sell your sofa just yet. In other PS VR news, a post from PlayStation Japan- now pulled - announced that Driveclub VR, the virtual reality adaptation of the existing PS4 game, will be a launch title for PlayStation VR on October 13. It's not clear if this will apply to Japan only. Sony told us in a statement: "We have nothing to announce with regard to Driveclub VR at this time". The post was followed up by a tweet from Driveclub director Paul Rustchynsky, who confirmed that the VR version of the game will come with a "collection of brand new tracks", however he didn't say anything on release date. When Driveclub developer Evolution Studios was shuttered by Sony earlier this year, many of the team were snapped up by Codemasters, leaving the development of the VR adaptation a bit of a mystery. We knew it was still happening, but it's unclear how many of the original team have been involved.